Hello hello! Had a busy few weeks – been working full time and now have started work placements, currently at the Sunderland Echo learning about newspapers. Yesterday I found myself in court for a few hearings and today I’ve been going through the archives for papers from 1960 and 1985 for this little piece they have every day…today 25 years ago and today 50 years ago. Basically I’ve been going through the individual papers from 28th june 1960- 12th july 1960 and then the same for 1985 and picking out quirky stories for each day for the next two weeks worth of paper! the Echo also produces a luxury lifestyle magazine Etc which I may be helping out with- I’ll keep you posted! So the pics of the sheer shoot have been up on the courier blog for a little while now…..I’m sorry for not informing you quicker but 10 days late is better than never. Now my petals I’m going to relax after a busy day in the office and treat myself to some quiet time watching Amelie and eating creme brulee…. Sounds like you've been working hard! But it also sounds like fun! Enjoy your relaxing time! Amélia poulain is one of my favorite movie!! yeah work can get hectic but we need the MONEY!! !lol…have a great week ahead!!! I don't know if you are into photography or have seen the 360 camera, but if not, please stop by and visit to view it again. It is great! You asked me the name of the blog that i love so much. The site is http://www.ColorMeKatie.blogspot.com. Definitely give it a visit. i am sure it will be one of your favorite blogs! 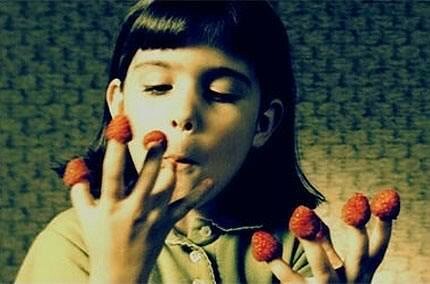 I love the film "Amelie Poulain" ! love amelie. watch it everytime i am feeling a little blue. Have a nice time relaxing!